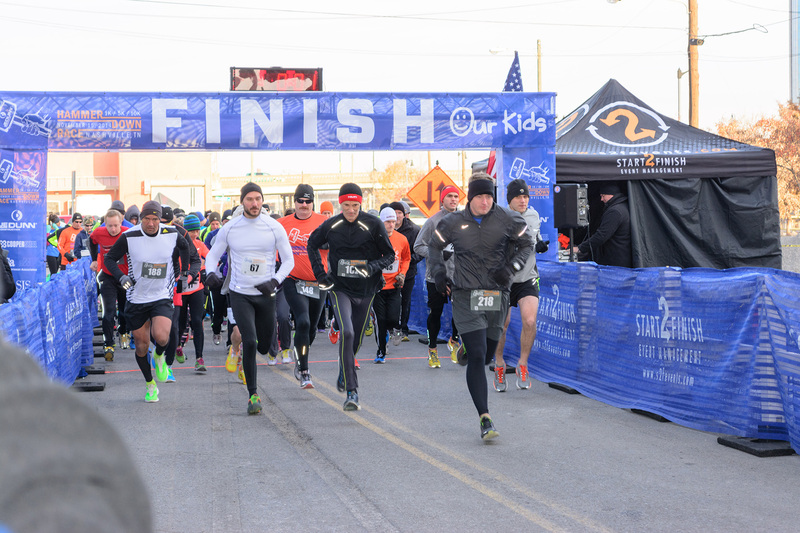 We are excited to announce our Second Annual Hammer Down 1K, 5K and 10K race benfiting Our Kids on Saturday, November 21, 2015 in Downtown Nashville. The race starts at 7 a.m. in the Gulch under the Demonbreun Street bridge and finishes in the same location. To view the course maps visit the race website. Participants may register in advance or on race day. Early packet pick up will take place at Fleet Feet Sports - Brentwood from 2 p.m. - 6 p.m. on Friday, November 20, 2015. Visit the race website to register. Registration fees are $30 for the 10K, $20 for the 5K before October 21, 2015, and free admission for the 1K Fun Run (kids 12 and under). For more information visit the race website and Facebook page.